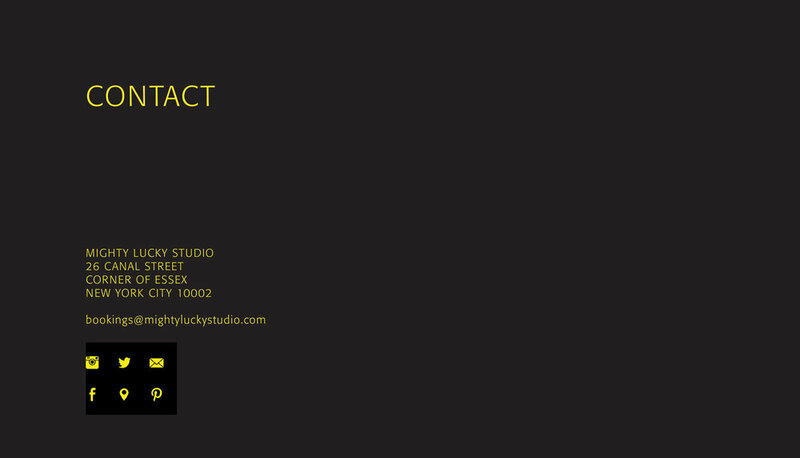 Mighty Lucky Studio is a full service Photo studio that is located in Lower East Side of New York City. 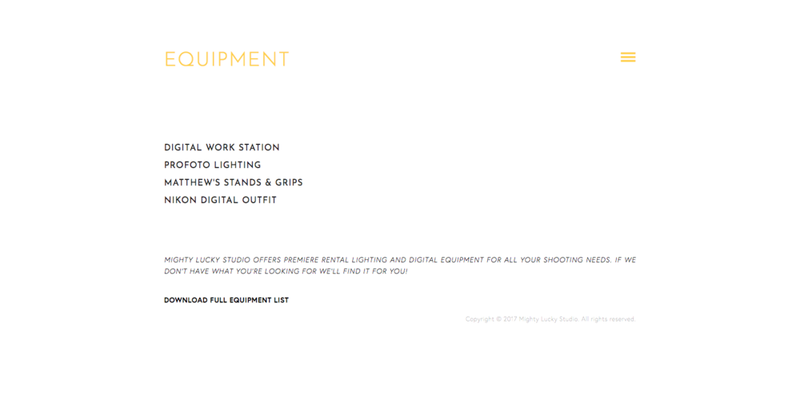 Might Lucky Studio wanted a website built where they can easily update content and have a way for customers rent space and equipment. First challenge is to decide which CMS platform for the website. 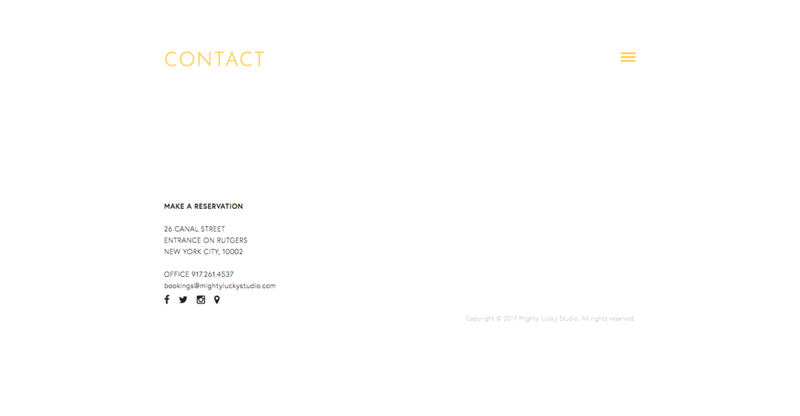 I suggested to have their website be integrated in Squarespace. Squarespace is a service-based content management system where they have a commerce platform, website builder and hosting service. By doing some investigating, I realized that we can use Squarespace's commerce platform as a way to rent equipment. I also had to find a way to add a calendar widget for users to rent spaces as they needed to. I was presented with these designs. Very clean and minimal. While working with the business owner, we collaborated and decided to find the best way to tighten the content as much as possible. After consulting with the client, we discovered that the content was getting lost in the imagery. We decided to simplify the layout by displaying a gallery/lightbox of the different images of the gallery with the content displayed in its' own real estate. 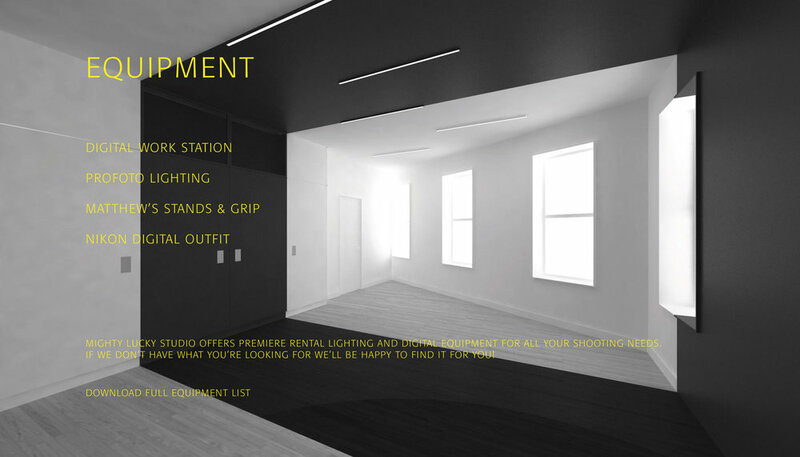 This simplified the layout of the overall website and met the goals and needs of the client. The client sought out a one page website, while looking over the content we decided to separate the content into their own pages. This again, simplified the functionality of the website. The website built is similar to what the original designs were. We changed the locations of the navigation to a drop down menu so the homepage captures of image of the gallery.